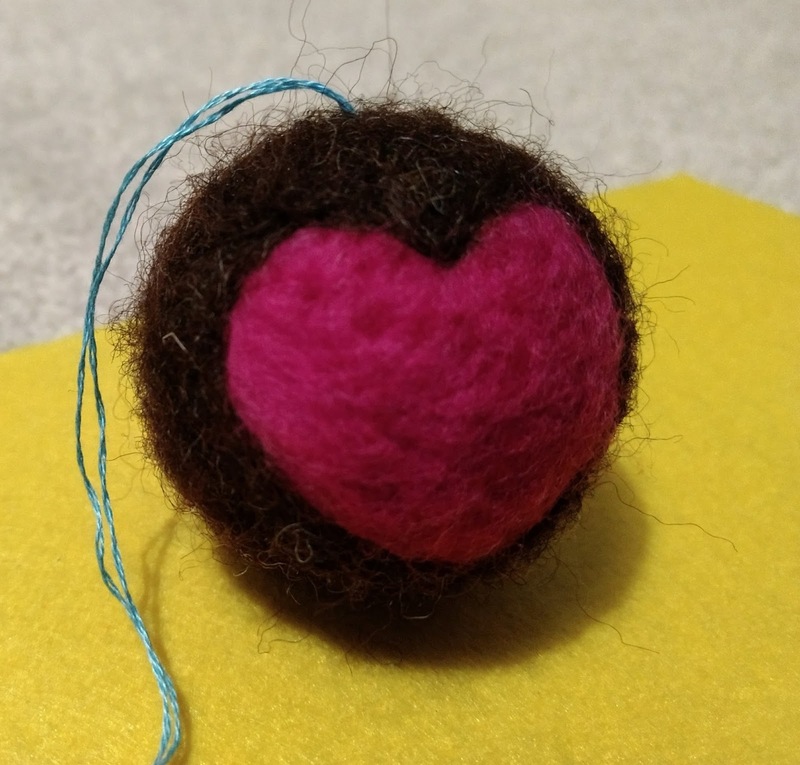 I use styrofoam balls as the core of my bauble and fuse the wool roving onto the ball using a very scary multi-barbed needle. I find the process very therapeutic and I love the results. Now that I'm back in the swing I'm nearly ready to tackle the polar bear felting kit that I picked up from Hobbycraft at some point. Keep your eyes peeled!